Wo-Men Working was born one morning in 1978 when my mail was delivered, not by the usual mailman but, for the first time, by a woman. 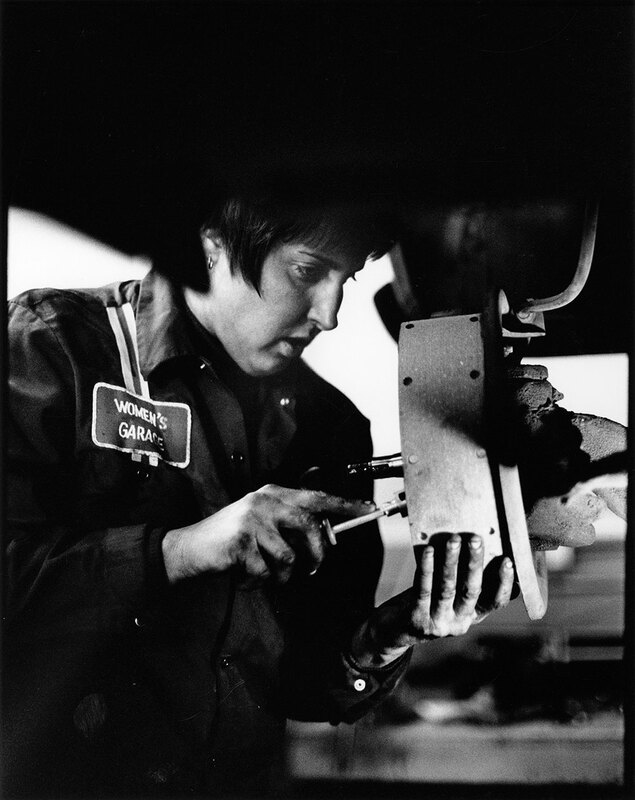 Astonished, I followed her, camera in hand, photographing her on her route.Then I began to discover women in other occupations who were also among the first in Los Angeles to hold blue-collar jobs previously open only to men. 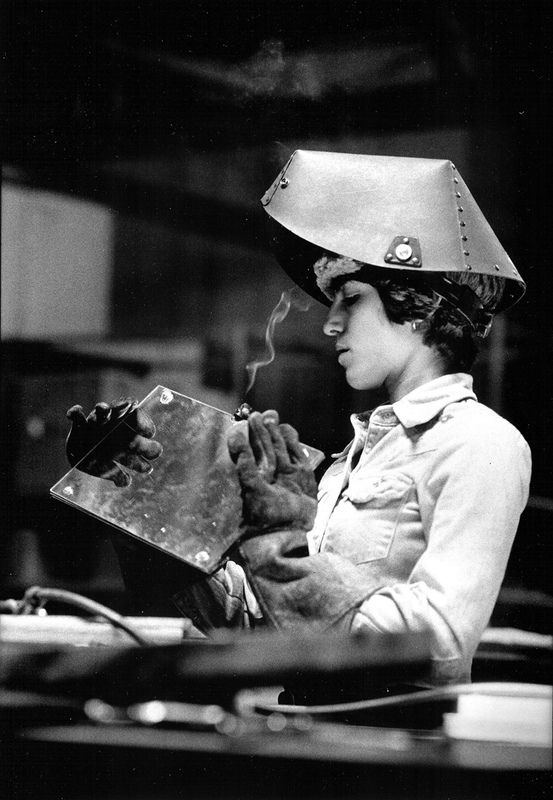 The world of manual labor was changing to include female workers: I photographed a welder, a car mechanic, a utility worker, to name a few. 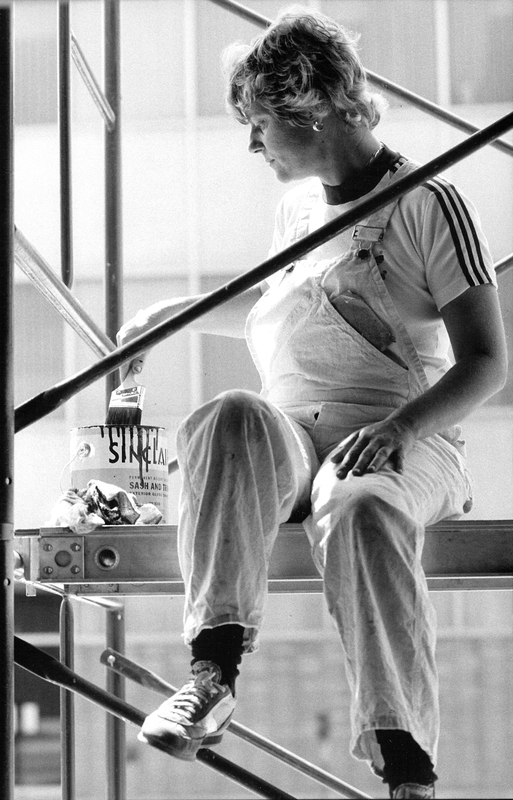 At one job site, I spotted a sign where a woman employee had hand-lettered “Wo” in front of the word “Men.” The women I encountered wanted the opportunity to earn a living for themselves and their families, and a greater choice of vocational opportunities. Their portraits document courageous individuals who changed the rules for themselves and for future generations.